The first European settlers in the Hunter Valley came from a variety of backgrounds. Many sailed from what is now the United Kingdom on a dangerous journey. While some were transported as prisoners, others came in search of a better life. In 1837 accumulated agricultural hardships brought an estimated 200,000 Scottish Highlanders to poverty. Reverend Dr. John Dumore Lang, on returning from his fourth trip to Australia, had a possible solution for these people. The House of Commons had recently abolished using NSW as a penal colony and Rev. Lang wanted to replace the convicts with hard-working Scottish Low-landers and Highlanders. He proposed that money used from the sale of government owned land in NSW be used to fund the emigration of the Scots to Australia. The plan was approved and eighteen ships full of Scotsmen were sent to Sydney. On these ships were tradesmen to replace the convict labourers. 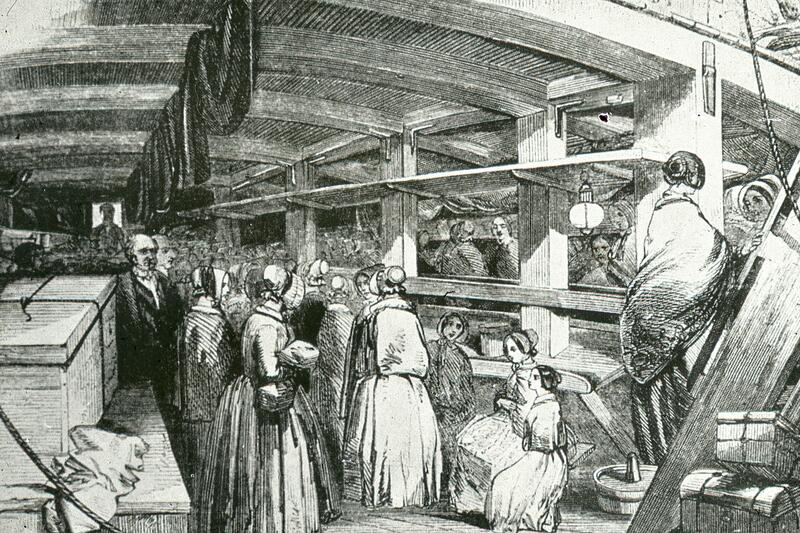 Emigrant ship above and below decks, Drawings, from UoN Dr. John Turner collection. One such ship was, the ‘Duncan’, which weighed 644 tons and carried 154 passengers. The journey of the ‘Duncan’ lasted six months, during which time 17 children and 6 adults died. 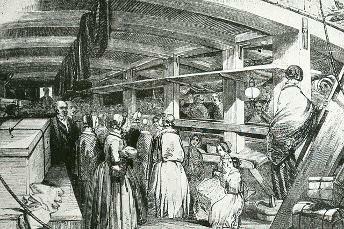 A fire broke out on board during the voyage, but no one was killed as a result. The biggest danger on these ships was the spread of disease, and the ‘Duncan’ was lucky to have no major outbreaks. 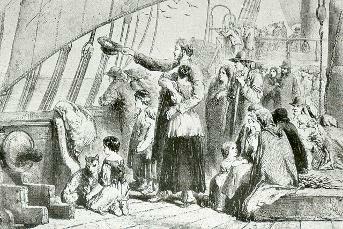 On this ship was the McPherson family. The McPherson’s became part of the Hunter River’s booming shipbuilding industry in the 1840’s – 50’s buying a property in Eagleton. Murray, Peter. Colonial Shipwrights of the Williams and Paterson Rivers. Print. [S.I. ], P. Murray, 2003. Print.